Like snowmen, penguins are a winter project, rather than a Christmas project. These little guys are made with half pint milk cartons, which there are an abundance of at school. These go together very quickly, so if you want to use them as nut cups or place cards, you can make a bunch without too much hassle. 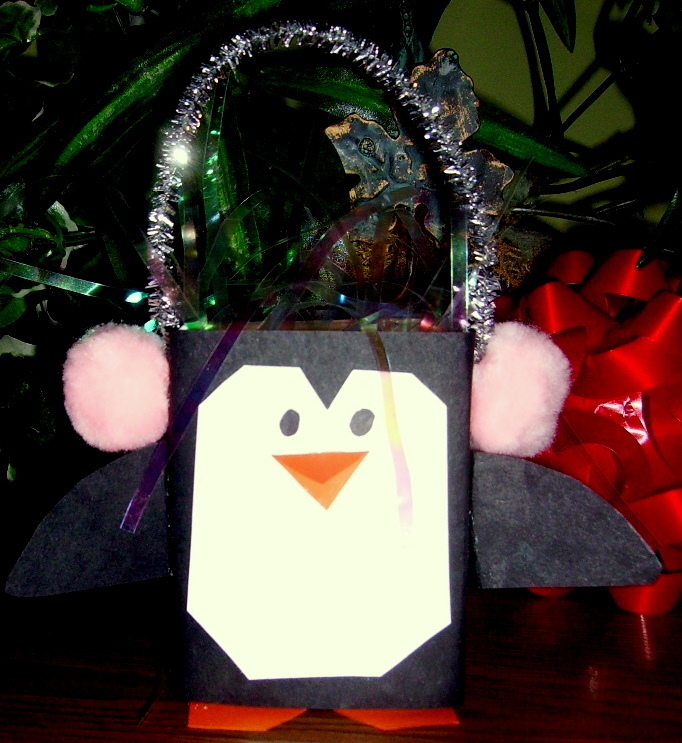 This can be made by any class, so I’m putting it, “Penguin Treat Box,” in the Christmas Projects Gallery in the sidebar. This entry was posted in Christmas Projects and tagged arts and crafts for kids, christmas crafts for kids, christmas treat box, milk cartons, penguin treat box, penguins, winter crafts for kids, winter project. Bookmark the permalink.